And here we are again. In 2010, businesses across British Columbia had to transition from charging separate GST (federal) and PST (provincial) to a Harmonized Sales Tax (HST). This caused a lot of confusion for a lot of small business owners and that’s why I wrote a blog post at the time to explain what sales tax to charge clients from the perspective of a freelance writer based in BC. The sales tax to be levied depended on the location of the customer. If the customer was also located in British Columbia, then all services rendered would be charged with the 12% HST. If the customer was located elsewhere in Canada where there is no HST, then the 5% GST would be charged. If the customer was located in another HST province, then the HST rate in that province (13% in Ontario, for example) would prevail. And, if the customer was located outside of Canada, then no sales tax would be charged. 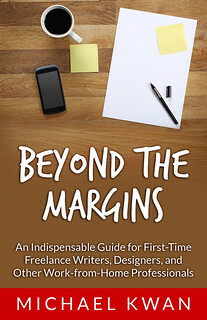 Again, this was from the perspective of a freelance writer, but it would be similar for other similar service providers. In 2011, a referendum defeated the HST and it was mandated that British Columbia would revert back to charging GST and HST separately. It took a while, but the date for the switch is now upon us; it is this coming Monday, April 1, 2013. (No fooling.) So, what does this mean for freelancers and other similar small business owners? I did some looking around on the Internet, both on the CRA’s website and through various other online resources, and it seems that if you are registered to collect GST/HST as a BC-based business owner, then you are fundamentally going to do the same thing as you have been doing these last three years. Things will be different if you sell goods, since you’d be back on the hook for charging PST as appropriate, but for us service providers, it’s back to charging either GST or HST as appropriate. If the customer is in BC or in any other non-HST province in Canada, then the 5% GST should be charged. However, if the customer is in an HST province (like Ontario), then you must charge the corresponding rate. For my part, because the vast majority of my business is online, the death of the penny has no real impact. I still charge to the cent for all services rendered. If the invoice is for $321.52, I expect to receive $321.52 in some form. That could be via PayPal, a cheque, an Interac e-transfer, or whatever else. If it were a cash transaction, the effective total would be rounded to the nearest nickel–$321.50, in this case. Since I don’t have to worry about penny rounding and since I don’t have a physical cash register or POS (point of sale) system to manage, the transition back to GST/PST from the BC HST will be relatively straightforward on the front-end. However, the process for remitting the collected taxes back to the government will still be just as complicated, as there are different remission rates for each of the taxes. From what I hear, the BC government is setting up a hotline to help small businesses with this transition period. I am no tax professional, so if you want some guidance straight from the horse’s mouth, as it were, I suggest you take advantage of that presumably free service. You know, this sounds a lot like trying to juggle county sales tax and state taxes. Good luck!